THANK YOU for reading the words that I had scribbled in my journal one night and threw up on the internet an hour later. Honestly, I thought maybe 2 people would skim through this thing and I would maybe get 5 sympathy likes on Facebook- 100% expecting one of those likes to be from my mom…so again thank you (and thanks Mom for still coming through and being one of those likes). Although I am shocked, I can not say that I am surprised because I know God is behind this and it is all a part of His plan. I appreciate the love and love the support, but let me tell you what I am in awe of the most- the stories people have shared with me. I guess I didn’t realize by sharing my story, others would think about their own. Let’s say the new iPhone update comes out and an app isn’t working right. Are we all going to ignore the fact it doesn’t work? Haha and I am now laughing as I’m writing this because I just realized why this example came to mind… it happened to me! A few months ago, I updated my iPhone and the alarm clock wasn’t working right. The reason I found this out was because it made me late to work- ugh I was so bitter! I remember asking literally everyone and their mom if their phone was doing the same thing and I even tweeted about it! As I’m writing this, I tried to go find the tweet because I was going to include it in this post but I guess I decided to delete it… probably for the best because I know I was being melodramatic (the usual)- but seriously, I was rolling over in my future grave about the alarm clock not working with the new update. The generation we live in talks, tweets, and texts about anything and everything- but why do we not talk about what we are struggling with? For me, my struggle has been mental illness- but for you, it may be something different. Even though you may not be struggling with anything like mental illness, let me tell you this: you know someone who is. Approximately 1 in 5 adults in the United States experience mental illness in a given year. And while some people may find that fact sad- I find it enlightening. It helps us realize that this is the world we live in and these are the cards that one out of your five friends has been dealt. Even though you may not be struggling with anything like mental illness, let me tell you this: you know someone who is. Not only do I find this fact enlightening- but I also find it emboldening. The definition of emboldening is to give someone the courage or confidence to do something or behave in a certain way. Some synonyms of the word embolden are to make brave (or braver), encourage, strengthen, lift the morale of, or stimulate. People are hurting yet nobody is talking about it. Let’s stop hiding the pain, but instead embrace it, and use it for good. Ending the stigma around mental health is a war that is too big for one person to fight- and I know it is not my battle to win. But if you feel strongly about it, like I do, my advice to you is this: If you can’t see the change, be the change. We all live different lives, so the change will look different for everyone. If you can’t see the change, be the change. I do have one challenge for you though- I dare you to do one thing this week to step out of your comfort zone and help someone else. Kindness goes a lot further than you think and you may not even realize when you’ve helped someone who is struggling. If you are currently struggling or maybe even suffering- I want to tell you, you are not alone. Your current situation is not your permanent situation and there will be better days. You have to believe there will be better days because there will be. This hope is what saw me out of my sad season and I believe will help you through yours, whatever it looks like. Your current situation is not your permanent situation and there will be better days. I realized I was never alone even though I felt completely isolated in a room full of people. I realized I was always wanted even though I felt rejected after I didn’t get enough likes on my Instagram post. I realized I was forever loved even though I felt abandoned after my serious boyfriend and I broke up. 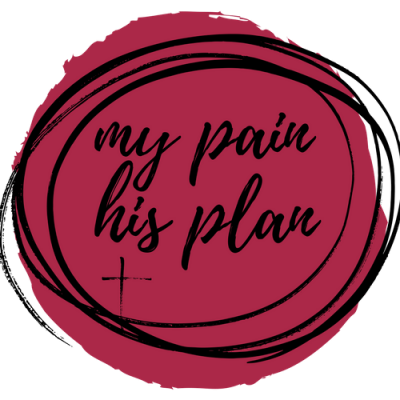 These three truths helped me to slowly realize that there was some plan for my life- even though I couldn’t even begin to think about the next day because it crippled me with so much anxiety. And just like God had a plan to pull me out of my dark season, I believe He has a plan to pull you out of yours. “Stand firm in the faith because you know that your brothers (and sisters) throughout the world are undergoing the same kind of sufferings. I am on my knees after reading this blog. Thank you. “If so many of us are going through the same thing – then why is nobody talking about it?” I’ve been asking myself this quite a bit recently. We could all learn so much and grow from each other if we all decided to share the shadows of life, not just the light.